Happy Tuesday! I’ve been busy around here. Between (still) putting away Christmas decorations and starting to plan a wedding, I found time to re-paint a mirror! Come over and see! 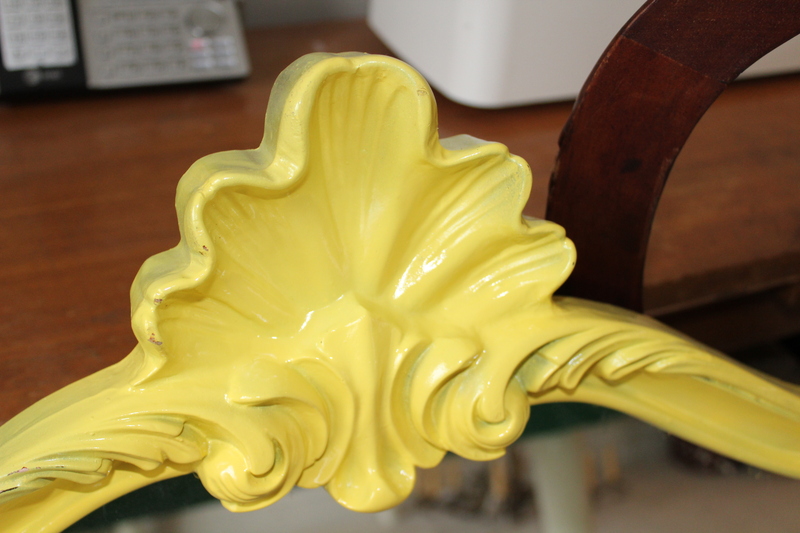 And I know they say that chalk paint covers anything without a primer, but this yellow was particularly stubborn. Therefore it took several coats of the white chalk paint. If the weather was nicer, I would have taken it outside and spray painted it. I let the coats dry while I was at the gym and running errands. I think I like the white! I just checked and the final coat is almost dry. I’m thinking about rubbing some wax on top of the paint to seal it and give it a bit more depth. The detail on the frame is so pretty, I want to show case it. While I was at it I painted a small sweet frame white as well. (It was green) I’m thinking we can use small frames like this one on the tables for the engagement party and/or the reception. Andirons to Upgrade Gas Logs! Gift Wrapping Station gets a New Chandelier! Paint Color for Guest Suite!